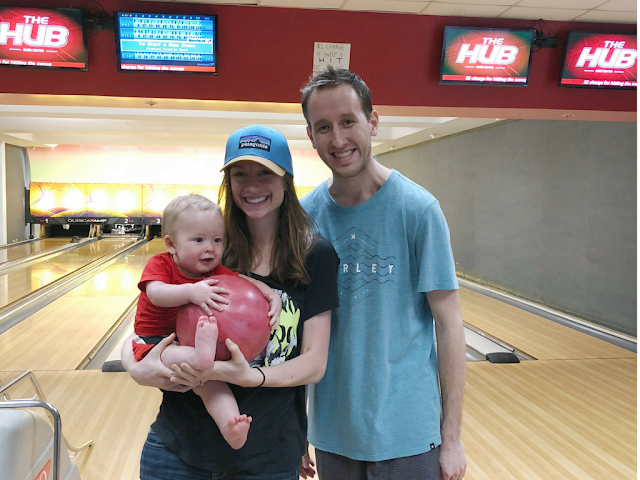 The Stevenson Ohana: Bowling with the Twins! 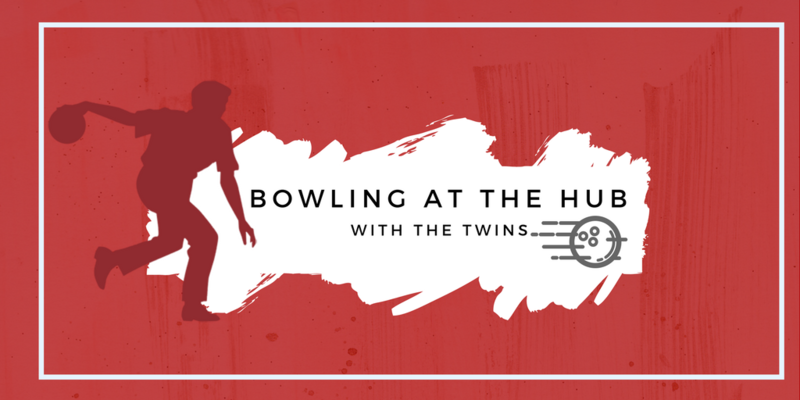 We went bowling at BYUH with the Twins just like old times. 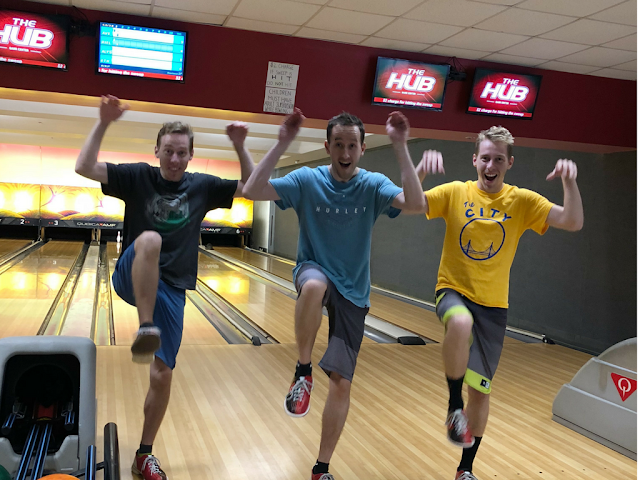 It always turns into a little competition between the boys to get the high score and I just try to keep my ball out of the gutter. 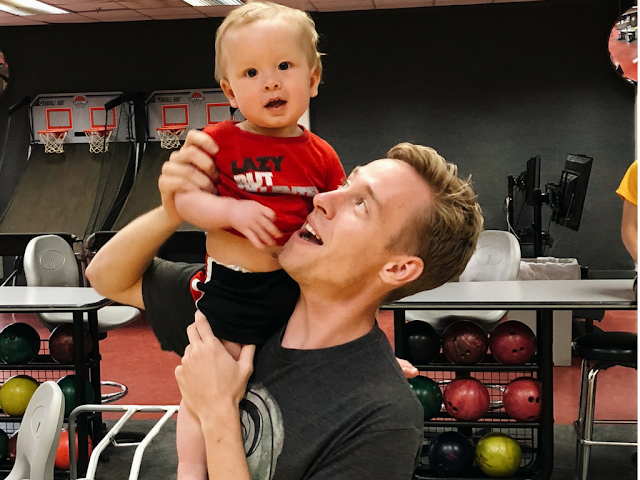 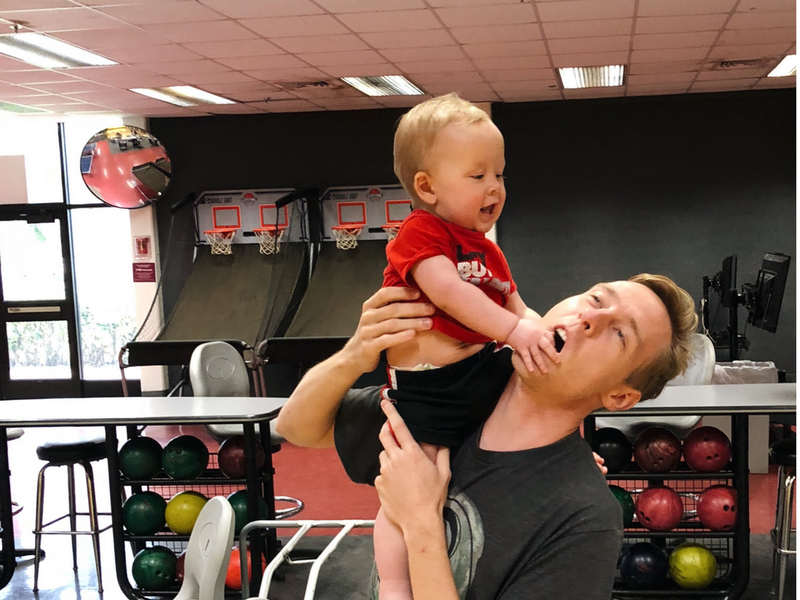 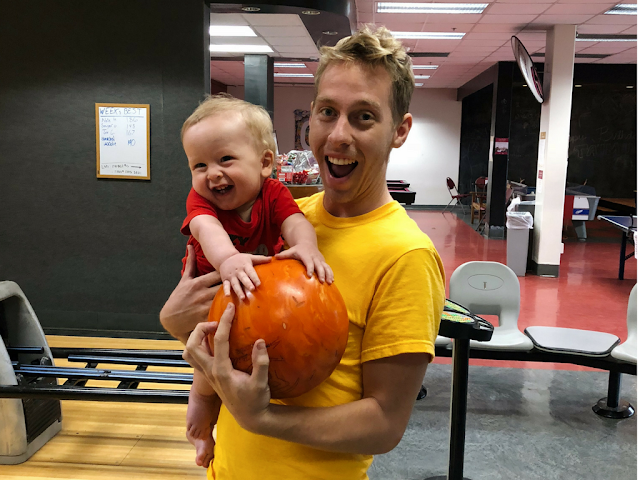 It was Luke's first experience bowling and he LOVED it... until the very moment the bowling ball would reach the end and knock down the pins and BOOM then he would cry and get scared and then get excited over the bowling ball and repeat the process. ^^ the praying-matus move... it came about from Nicole (COBB) bowling and making a similar gesture after hitting a strike and has been very exaggerated over the years but lives on.